A Loving man wanted in connection with a shooting that occurred last month at a local apartment complex has been apprehended. 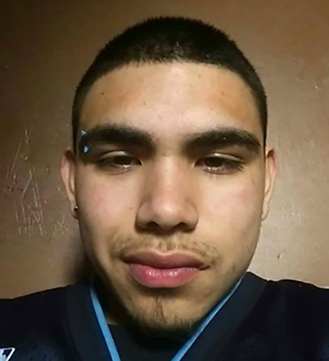 Tomas Salazar, 19, of Loving, was arrested early this morning in Albuquerque, according to the Artesia Police Department. The shooting incident took place around 6 p.m. Sunday, Aug. 19, at the Abo Apartments, 700 N. 10th St. APD officers were subsequently dispatched to the Artesia General Hospital emergency room in response to an individual suffering from four gunshot wounds to his right upper back, mid-back, right buttock, and groin. Officers were able to speak with a witness, who said she and the victim were at the apartment complex to pick up their infant son when Salazar approached their vehicle in the parking lot. According to the criminal complaint, the victim informed police she had previously ended a romantic relationship with Salazar, but he would often stay at her apartment in the complex “uninvited” and had stolen a key to the apartment. After placing the infant in the back seat of the vehicle, the witness noticed Salazar and the victim “having words”. The witness got into the passenger seat and shut the door, at which point she states Salazar began yelling and hitting the passenger window, trying to get her out. The victim exited the vehicle and came around to the passenger side. According to the complaint, the witness told police she then heard “seven to eight” gunshots. She said she witnessed Salazar pointing a gun at the victim and shooting twice. The victim crouched down and began walking back toward the driver’s side of the vehicle, and the report states Salazar followed, continuing to fire shots. The victim was able to enter the vehicle and drive to the emergency room. He was airlifted to Lubbock, Texas, and survived his injuries. The witness told police she saw Salazar run north on 10th Street after the shooting. Salazar was arrested this morning in Albuquerque on charges of aggravated battery with a deadly weapon inflicting great bodily harm (third-degree felony) and assault. He has yet to be arraigned.